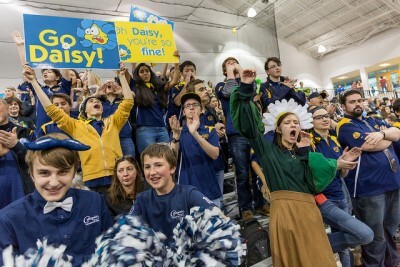 Our first event of 2016 saw Miss Daisy climb three times, put up numerous high goals in each match, claim the Judge’s Award, rank #14th in FRCTop25, and finish as semi-finalists. 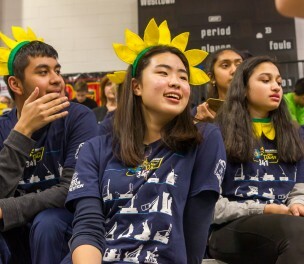 With four weeks to go before our second appearance at the Westtown District Event, the team set about figuring out how we could make use of our extra time to improve our robot’s performance, finish media projects, and generate excitement for our next outing. Using our twin as a test-bed for many of these changes, the team was excited to debut a number of new additions at Westtown, including a revised ball hopper, software tweaks to correct what we identified as our robot’s biggest weak point – our tippiness – as well as the first demonstration of our outer works shot. With nearly a month worth of work on these modifications under our belts, hopes were high as qualification matches began. 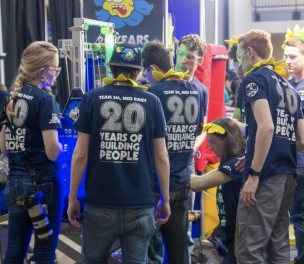 Our performance in qualification matches left a lot to be desired, as we struggled to find our rhythm and adjust to the changes we had made in the intervening weeks between events. In some matches, implemented changes would lead us to shoot inaccurately, and in others, we would change our approach to crossing defenses and end up on our side. 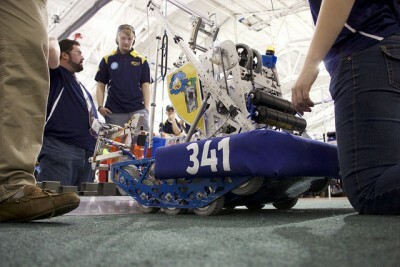 Our ranking reflected these struggles as we seeded 31st. A stroke of good luck landed us on the #6 alliance, as our friends on Team 4954, Palindrome Robotics, picked us in the first round of alliance selections. What followed has the makings of a true Cinderella Story: Our shooter came alive in playoffs, landing four to six shots from the batter each match with deadly accuracy, while we climbed almost every match, and went undefeated through quarterfinals and semifinals. As the second day of the Westtown district wound down, we found ourselves facing our most formidable opponent yet: the #1 seeded alliance of Team 225, TechFire. Having made it this far after a rocky performance only the day before, our confidence was high as finals began. Knowing that we had our first medals in hand in two seasons gave the team the confidence boost it needed to take on the #1 seed. We fell in the first finals match by a mere 27 points – a narrow margin of defeat in what should have been an easy fight for the #1 seeded alliance. Our second match brought the most peculiar outcome the team has seen in years; it sealed our fate as finalists, but only by the narrowest of margins. We had lost with a score of 145 to 145, a tie that went to the third order of tie breaking rules to determine a winner. Not bad at all against a #1 seed. 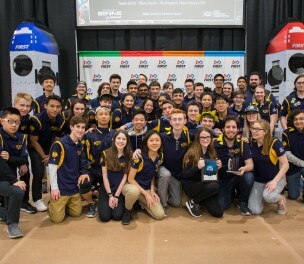 As the awards ceremony began, another surprise took place: the team was called to the stage as the recipient of the Imagery Award in Honor of Jack Kamen, an award that the team has never won in 17 seasons. 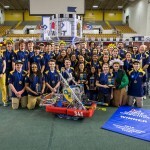 Later, as we walked the field again to claim our silver medals, the students and coaches of Team 341 held their heads high, claiming their first hardware since Aerial Assist in 2014, and knowing that more good things were to come in the following weeks. With only 13 days until the FIRST® Mid-Atlantic District Championship, the team would need to move at breakneck speed to solve the issues we had discovered at Westtown, and guarantee us victory at Lehigh University.